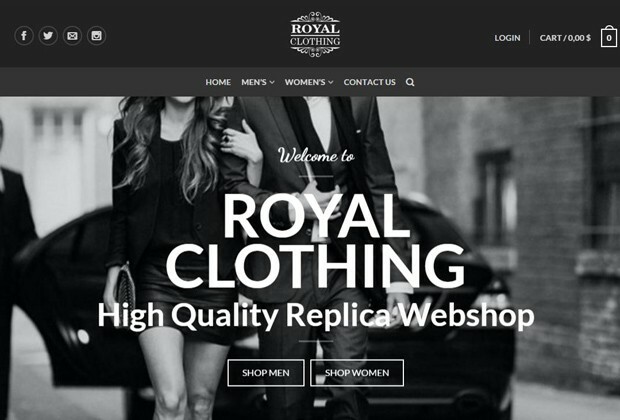 Even though the name suggests a clothing store, Royalclothing.cc is a totally different type of website. This page offers a beautiful selection of best-selling replica handbags both for men and women. With a friendly website, free delivery and the promise of complete customer satisfaction, the merchant invites us to enrich our style with a new designer fake purse. Are you interested? Continue reading to find out more about this site. The classy and sophisticated design is the first thing that gets our attention when we access Royalclothing.cc. The homepage is very appealing and professional looking. As most elegant e-stores, the color scheme is black & white. The menu is pretty simple. It includes buttons for the main categories- Men’s and Women’s- and for the Contact Us page. Next there is a wide sliding banner with links for a couple of promotions, and below all this there are banners that direct you to the collection. Of course, the lower part of the page is stuffed with sponsored and best-selling products. The company does not carry such a large selection of replica handbags. The offer is rather modest and limited. The men’s category includes only 4 Louis Vuitton fake purses and the lady’s category includes 96 bags and 4 purses. These are clones of various different brands, like Celine, Chanel, Louis Vuitton or Prada. Even though the website doesn’t have that many products, it still features a very useful price filter that allows you to choose the price range which interests you. The prices for these replica handbags depend on the brand, materials and size of the product, but they range between $168 and $489. Those who are manufactured from alligator or snake skin are more expensive while the ones manufactured from calf leather and canvas are considerably cheaper. Even though it is perfectly understandable why a Chanel replica made out of Python leather would cost $489, you still need to accept the fact that it is just a fake. A genuine designer purse made from a more affordable material costs only twice as much and it has the major advantage of being authentic. The pictures of the products are not as good as one may think. These look like they were taken in a handbags store (you can see the shelves with the items displayed) and in the photos the purses are placed on the floor, on chairs and on a table. The quality of the image is quite poor and the size is also small. These are definitely not professional images and they fail to present all the important sides of the products. Interestingly enough, Royalclothing.cc is one of the few online replica stores that take Paypal payments. You can literally count on your fingers the number of sites that accept this payment method. I always prefer to use this option as it is the most secure one when it comes to ordering products over the Internet. 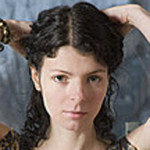 The other available methods are Direct Bank Transfer, Credit Card and Debit Card( by Paypal). I honestly do not understand this option. They say that you can pay with your card using the Paypal feature even though a Paypal account isn’t required. Strange. The delivery costs are always a very sensitive subject. We are so determined to find the best discounts and lowest prices that we basically expect the shipping fee to be nonexistent. Luckily there are still e-stores that understand this need, stores like this one, who offer free worldwide delivery. Regardless of the destination country, you can choose to have your package delivered by EMS free of charge, but the estimated delivery time is about 7 to 10 business days. If you need the replica bag delivered sooner then you can opt for UPS or Fedex for $39 and get it in 3-5 business days. The return policy is a little bit vague. The only thing stated on the Returns page is that they offer a 14 days return policy and that if needed you should contact customer service. There is no other piece of information about their refund or exchange policy which is very concerning. All reputable online merchants should post on their site the entire return policy with the conditions and costs it implies. The worst thing about ordering replica bags online is to come across an online store that doesn’t have proper customer service. When something like this happens you basically do not have that many options to resolve the problems experienced during delivery or using the product. If you have to wait 3, 4 days or more until the company answers then the whole experience may turn out to be a disastrous one. Unfortunately, Royalclothing.cc doesn’t have such a great customer service. It only offers an Outlook email account for contacting its agents. It does not have a phone number or Live Chat service. There are a few really great things about Royalclothing.cc. The online store accepts Paypal and credit card payments, it offers free worldwide delivery, has actual phyton leather replica bags, and a really friendly and easy to use website. But there are also a few things that bother me, things like the vague return policy, the unprofessional product pictures and the considerably high prices. Damn another one the real makers shut down lol im searchint every review on here to find a good site, that take e-check and having no luck as of yet 🙁 you provide amazing,real reviews! For that, I love it! Dear Hannah, do you possibly know new website of Royalclothing.cc? Hey Eugenia, Royalclothing site is closed. Does not the royalclothes page work anymore? Hi Hannah, i’m always reading your recomendations but I’ve never brought a replica yet. I’m interested on handbags, but your best recomendation, pursevalley, recently have had very bad feedback. Hey Andrea, Here is my review of this store. I have a question what you think of this website I did some review and is a new page and they don’t have item. I bought a Chanel boy this week and I love it, real good quality. I have no problems of comunication, they are very friendly and answered my question on whatsup in minutes. I recommend this website and will buy again. They are still up and running by RoyalClothing.cn I recently purchased a Hermes Birkin bag from them!! They are super responsive and quick! I payed with PayPal they shipped the handbag out with DHL to LA and received in 3 days 🙂 The bag is super high qualty I am in love. It is made with authentic leather and the stiching is on point. what do you think about this website: dreambag.us? Pros: big selection, detailed pictures for each bag. Accept credit cards payments, if seller accepts only western union payments – the chances are slim that he sends quality products. Prices seem very reasonable. Cons: a lot of grammar mistakes, so it might be difficult to communicate. Images have different background, they might be just copied from other sellers as some pics have other domain watermark. Return policy is not very clear. If we sent the wrong items,or the items we sent are broken,then we will accept partly refund or resent the items to you. It means that even in worst case scenario, you don’t have possibility to ask them for full refund.